On the cruise Jimmy Moore gave me this package. 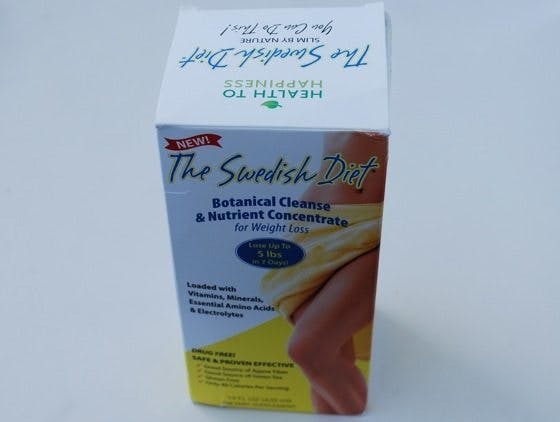 It’s called “The Swedish Diet” and promises quick weight loss. I’ve never heard of it before even though I’m from Sweden. Does it have anything to do with LCHF, the hottest way to lose weight in Sweden? If you open it the fluid looks and smells like green-brown sewage. Nasty. So it should be really effective, right? Ingredients: concentrated juice (sugar) and some random plant extracts, complete with lots of pretty latin names. Hardly something that will make you lose weight? Or will it? “Good source of Agave Fiber”? Agave fiber is hardly required in human diets. 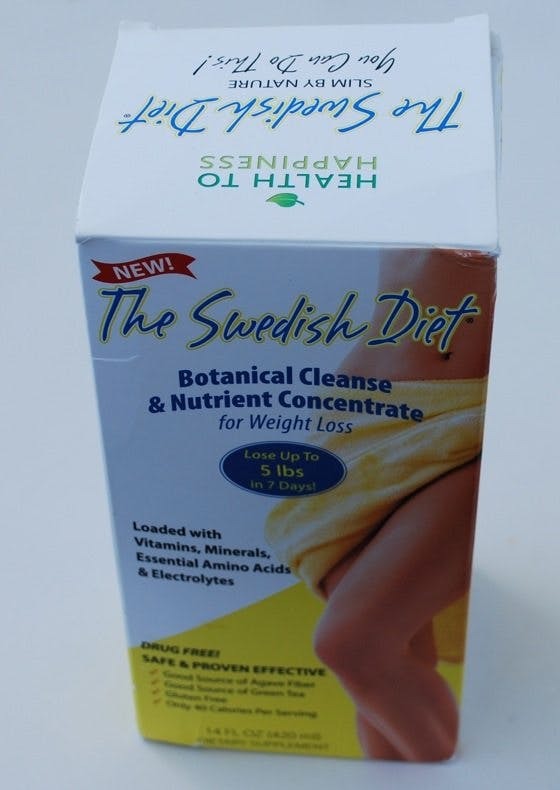 I checked their web page where they reference one (1) study testing the “Swedish Diet”-supplement. The study took place in Puerto Rico. Now, there’s nothing wrong with Puerto Rico, but it’s a long way from Sweden. Didn’t “The Puerto Rican Diet” sound good enough? The duration of the study was one week and the participants tested the juice… combined with a meal replacement containing only 77 calories (!) instead of meals. Almost pure starvation. So the study proves you can lose weight from a tiny amount of juice twice daily… if you don’t eat. 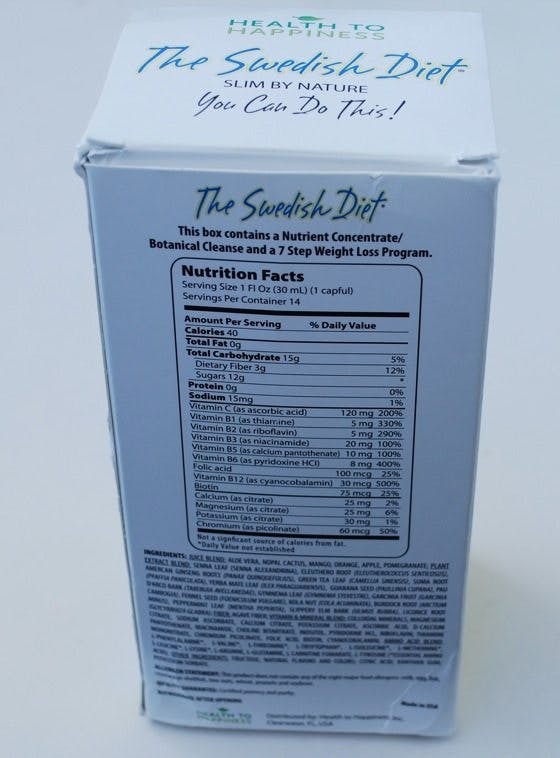 We can’t know if the participants would have lost even more weight without the “Swedish Diet”-juice, but it seems highly likely. The study was done in Puerto Rico. The company selling this junk is located in Florida, USA. What does this have to do with Sweden? This is just a diet scam. Fruit juice and plant extracts hardly makes you lose weight. Fortunately there is apparently nothing Swedish about this scam. LCHF for beginners – weight loss that works, without starvation, and you only need to buy real food. Probably taste a lot better if you mixed it with Puerto Rican rum and Coke! Actually, Dennis, it's the LOVE of money that is the root of all evil. I dont use any of this 'super weight loss products' and i have great results.. the most important thing is motivation! I'm thinkin' the sewage smell is to kill our appetites for the rest of the day :O Too bad they can't bottle motivation! Hmm, I'm thinkin' weightloss wine!!! thought he was going to interview you. Hey im 12 and i feel obeest, evn though im like 90lbs. and look skinny. soo does it really work?? and how much does it cost??? As a Tucson Therapist, I am interested in an integrative care approach to mental health treatment. I understand the importance of diet for people improving their mood and behavior. This website has been great, and these fad diets have been a little disturbing (and somewhat amusing) to read about. 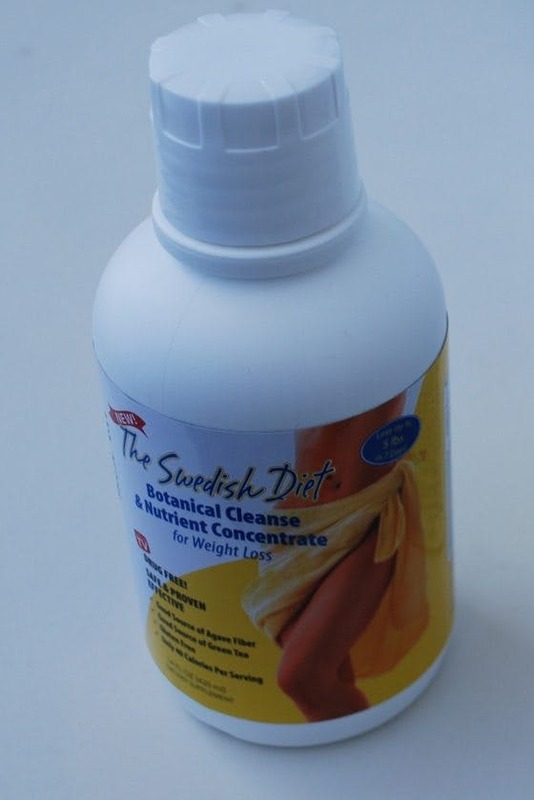 I lost 10 lbs in 2 weeks using The Swedish Diet liquid and Green Tea system. Just because it doesn't use the Swedish LCHF system doesn't mean it doesn't work. They are two different diet systems so you can't compare. What works for one person, may not work for another. Everybody's body chemistry is different. This product is all-natural and FDA approved. Many other diet products are a "magic pill" loaded with chemicals that can cause side-effects doing more harm than good. It's not just a magic liquid, this is a boost of vitamins, minerals and amino-acids your body craves while you're dieting and eating less and exercising and moving more. That's how it works. As far as the taste goes, it takes some getting used to but it is NOT as bad as this article claims it to be. Again, different tastes have different opinions. I recommend this diet to many friends and they were pleased with the results as well. One friend lost 3 lbs over the weekend! P.S. 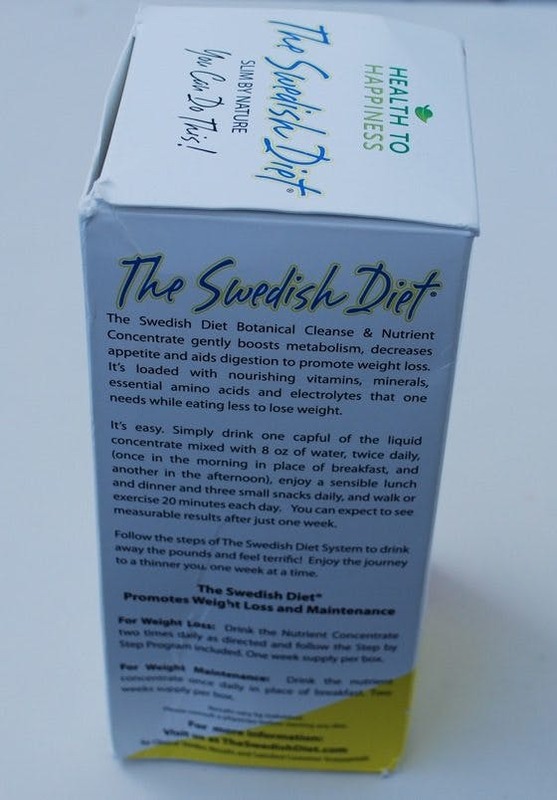 I wrote to info@theswedishdiet.com asking about the name and they responded that the owner of the company who formulated and created the diet system is Swedish. Hence the name. For being an MD, I'd say it's pretty ignorant (and disappointing) to slander a company without doing some factual research first.